The United States Modified Touring Series is back in action this Friday and Saturday, Aug. 3-4, with a pair of pivotal points races in the USMTS Hunt for the Casey’s Cup powered by Summit and the quest for $50,000. The doubleheader begins Friday at the Humboldt Speedway in Humboldt, Kan., for the 13th Annual USMTS Summer Fling @ The Bullring where the stars and cars of the USMTS will compete in their 50th feature race at the Whitworth family’s 3/8-mile high-banked clay oval. Eighteen different drivers have tasted victory at ‘The Hummer’ since Johnny Bone Jr. won the inaugural event here on June 28, 2000, but the far-and-away all-time wins leader is Jason Hughes with 13 trips to victory lane. Stormy Scott has been a winner at Humboldt six times while Kelly Shryock is a five-time winner, including the first King of America Modified Nationals in 2011. On eight occasions the first driver to the finish line has been Ryan Gustin or Rodney Sanders with four wins apiece. Bone is a two-time USMTS winner here, along with Terry Phillips, Jason Krohn and Johnny Scott. Drivers getting to the winner’s circle just once include Tim Donlinger, Jon Tesch, Steve Holzkamper, William Gould, Jeremy Payne, Zack VanderBeek, Mitch Keeter, Kyle Strickler and Lucas Schott, who wired the field in the most recent visit to Humboldt this past March for the King of America VIII. This Friday night, the Modifieds of the USMTS will share the spotlight with Rays Metal Depot NASCAR B Modifieds, Tumbleweed Music Festival NASCAR Street Stocks and Home Savings Bank NASCAR Factory Stocks. Gates open at 6 p.m. with racing at 8. Cory Crapser and his Snickers-sponsored Modified will meet ‘n’ greet fans at the Casey’s General Store located at 712 E. Madison Ave. in Iola from 11:30 a.m. to 1 p.m. on race day while ‘Big Daddy’ Joe Duvall will have his Spike Energy machine at the 220 W. Cherry location in Chanute at the same time. Race fans can pick up collector’s coupons good for $2 off adult admission at Casey’s General Stores locations in Chanute, Fredonia, Iola, Neodesha and Yates Center. To find the location nearest you, visit www.caseys.com. On Saturday, the party heads east to the state-of-the-art Lucas Oil Speedway in Wheatland, Mo., for the 9th Annual Lucas Slick Mist Show-Me Shootout presented by Foley Equipment. Zack VanderBeek won the last appearance by the USMTS at the track in 2016 as last year's Lucas Slick Mist Show-Me Shootout was rained out. Johnny Scott, Ryan Gustin, Jeremy Payne, Jason Krohn and Kelly Shryock have also each won one time here, but the only two-time winner of this event is Terry Phillips. Phillips, who is the all-time winningest driver in the history of the Lucas Oil MLRA, has 24 career USMTS victories but none since Aug. 5, 2016, at Humboldt. Saturday’s show on familiar ground may help keep the 52-year-old from nearby Springfield from extending his winless drought past the two-year mark. Gates open at 4 p.m. and racing begins at 7:05 following a prayer and the national anthem at 7. Adult admission is $20, seniors 62 and older are $17, youth ages 6-15 are $10 and kids ages 5 and under get in for free. Pit passes are $40. Joe Duvall will have his No. 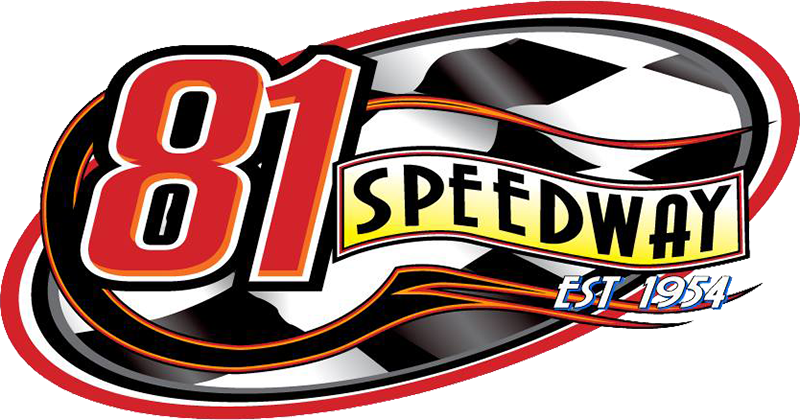 91 Spike Energy USMTS Modified at Casey’s General Store located just a few blocks from the track at 310 E. Hwy 54 in Wheatland from 11:30 a.m. to 1 p.m.
Race fans can pick up coupons good for $2 off adult admission at Casey’s General Stores locations in Bolivar, Hermitage, Osceola, Stockton, Warsaw, Weaubleau and Wheatland. To find the location nearest you, visit www.caseys.com. Out-Pace USRA B-Mods will also be in action competing for track, regional and national points in the Summit USRA Weekly Racing Series. Big O Tires Street Stocks are also on the card. The Lucas Oil Speedway is located at the junction of Hwy. 83 and 54 in Wheatland, Mo. A campground with shower and bathroom facilities is also available. With its entrance located just outside the pit gate this sprawling scenic camping facility will continue to enhance the racing experience at the Diamond of Dirt Tracks. Click www.lucasoilspeedway.com for more information or call the track hotline at (417) 282-5984.